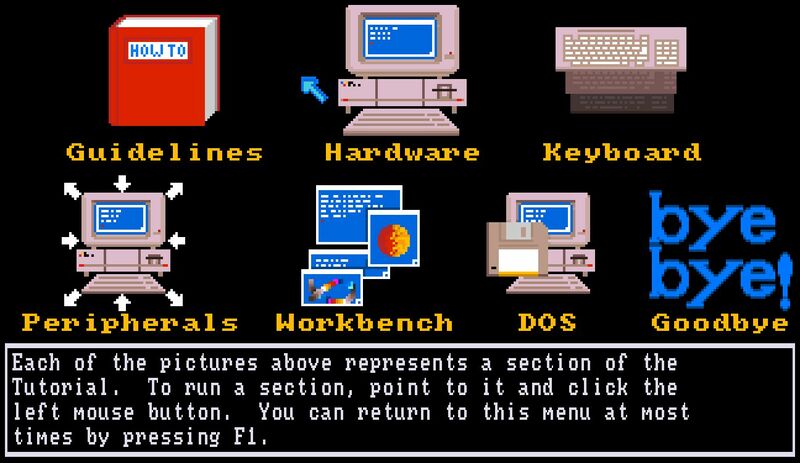 Amiga Workbench 1.1 Disk contents. 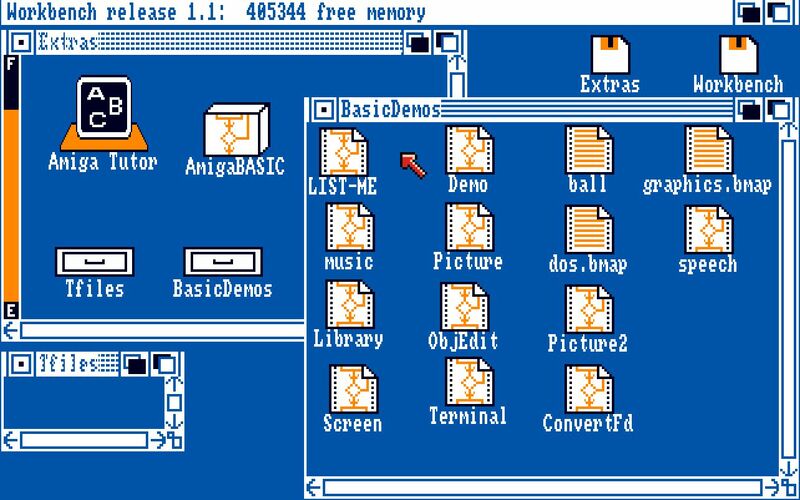 Also included with the 1.1 release was a 3rd disk, simply titled “Extras”, which had Amiga Tutor and AmigaBASIC on it, as well as example BASIC programs written in AmigaBASIC and support files. 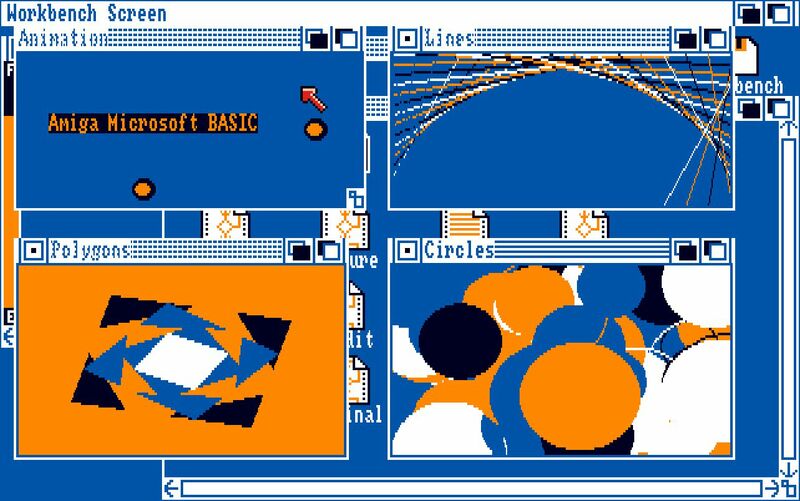 AmigaBASIC was written by Microsoft – yes, the same Microsoft that still exists today that produces Windows, Office and the XBOX One game console. 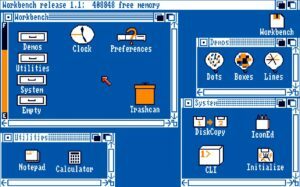 Workbench 1.1 should work on any version of Kickstart from Kickstart 1.1 onwards (Kickstart 1.2, Kickstart 1.3, Kickstart 1.4beta, Kickstart 2.0, Kickstart 3.0, Kickstart 3.1), although on Kickstart 2 onwards things will look a bit odd and some menu functions will be different or gone altogether. 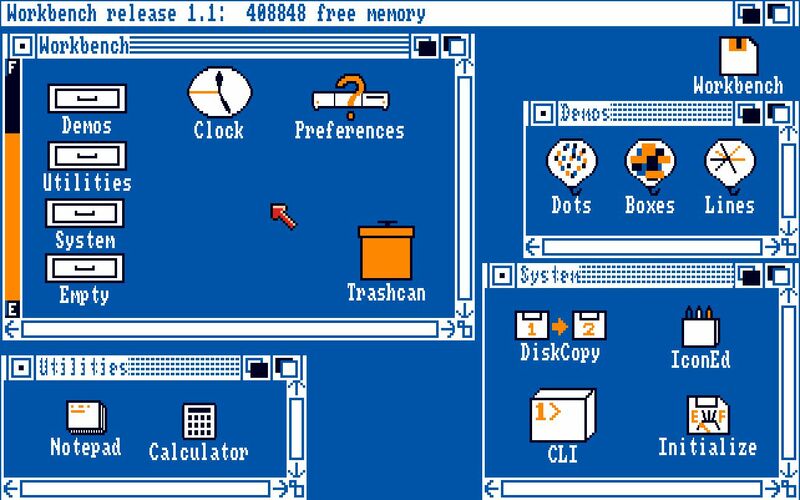 The Amiga Museum has tested and verified that Workbench 1.1 does in fact work on Kickstart 3.0.